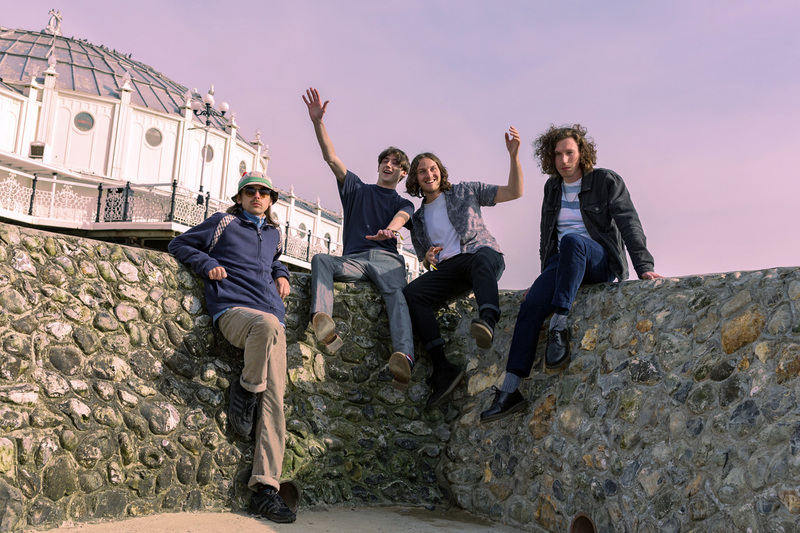 The Great Escape is the festival to be at for new music in the UK, gathering hundreds of the best upstart bands and artists of tomorrow for a three-day live music and industry networking event every year in Brighton. Backed by massive brands and always delivering a varied and multi-national lineup, it’s provided a launchpad in recent years for the likes of Stormzy and Sigrid, and a continual opportunity to catch the bands that may or may not make it en masse. The dust has only just settled on the 2018 festival, yet the 2019 roster is already starting to take shape. The dates are confirmed (Thursday 9th to Saturday 11th May) and the first fifty artists are already announced. ICYMI we have revealed the FIRST FIFTY artists announced to play The Great Escape 2019. Grab a taster of TGE at our unique live launch #FIRSTFIFTY in East London this November. 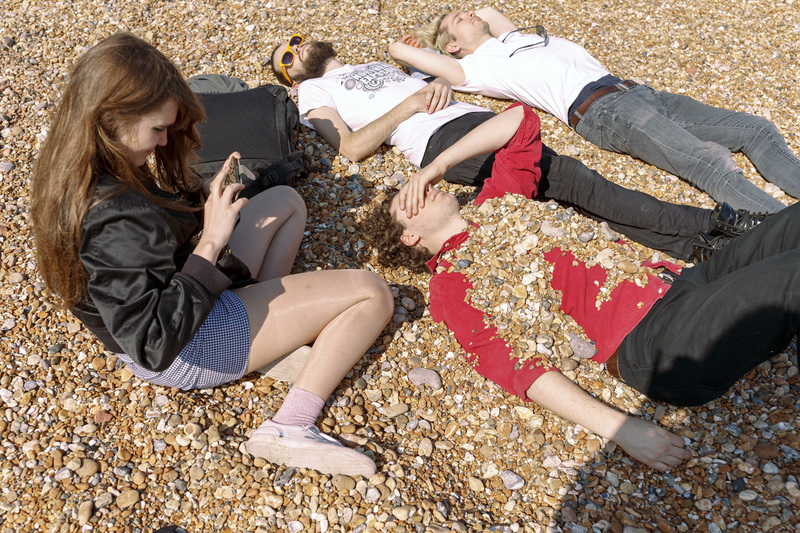 Among the cross-genre standouts announced so far for next year are indie pop faves Indoor Pets, Dutch star Pip Blom and fiery Scottish collective Lucia, plus Zuzu, Millie Turner and The Howl and the Hum. To help kickstart our own hype for 2019, we’ve put together a throwback to five months ago, and the portraits we produced of some of our favourite artists back in May. 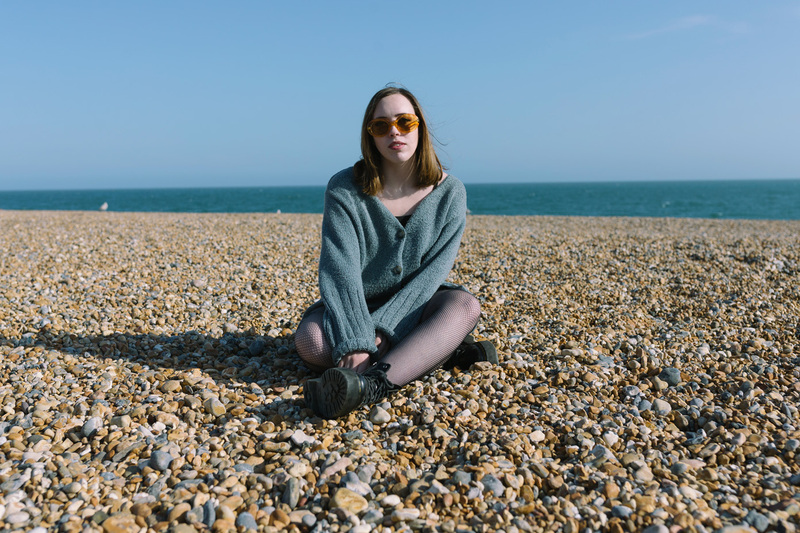 Shot on and around Brighton seafront by FEISTY editor Katy Blackwood, our photos used bubble blowers and pebble burials to capture the likes of Soccer Mommy and ALMA, plus stars of tomorrow including Queen Zee and Calva Louise. Early bird tickets are currently on sale for The Great Escape 2019, priced at £60. The festival’s more expensive delegate passes, affording entry to various networking and special events, are presently priced at £175. 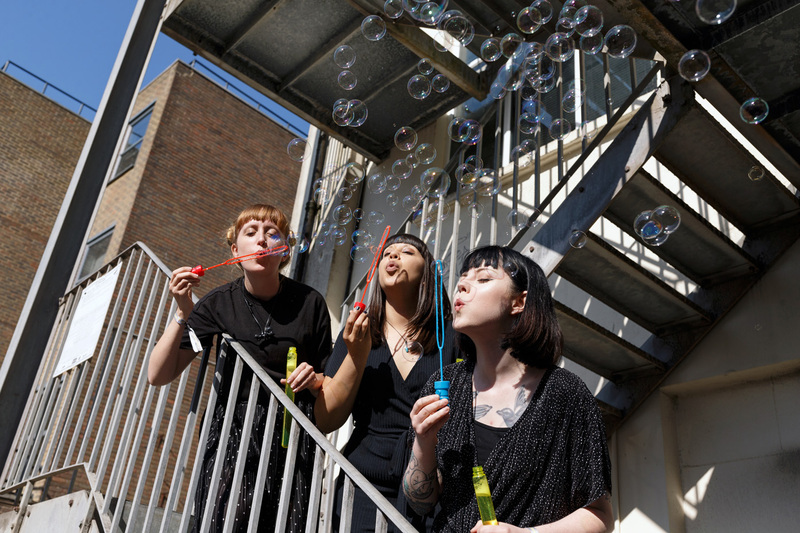 Peaness – say the name out loud and it’ll make more sense – met up with us around the back of a music venue to play with three bubble blowers we picked up in a shop. 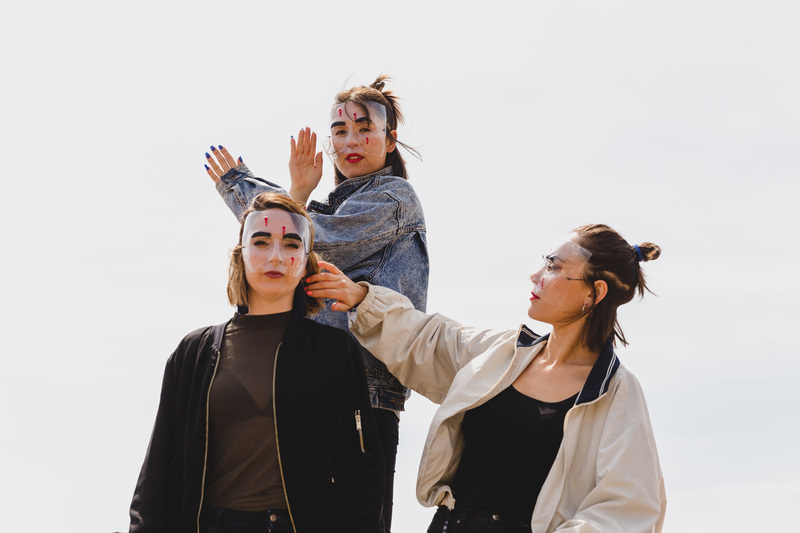 Drummer Rachel, guitarist-vocalist Carlea and singer-bassist Jess met while students at the University of Chester, staying in the city thereafter to craft their unique brand of bright indie pop. 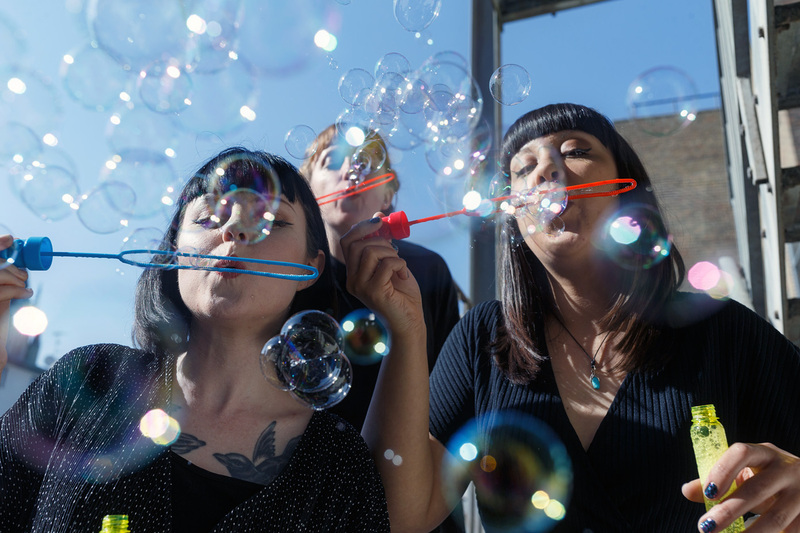 But for all their sugary harmonies, there’s also punch packed into their lyrics, and serious statements on issues like environmental damage and food waste. We met Soccer Mommy on the pebbles of Brighton seafront, close to a brand new beach stage that she played as one of 2018’s international stars. Soccer Mommy – real name Sophie Allison – first emerged as a bedroom pop musician, creating a healthy buzz via Bandcamp and releasing EPs before signing for U.S. indie Fat Possum. Her debut album proper Clean flaunted a more indie pop style, underpinned by withdrawn, bittersweet themes. Released in March, it remains a 2018 favourite. 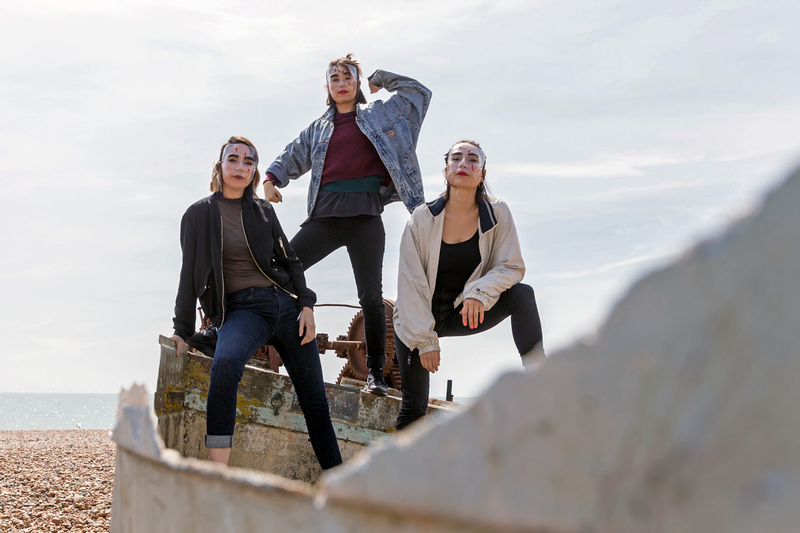 The Great Escape 2018 marked Haiku Hands’ first ever performances outside of their native Australia, and we showed them around the seafront during their stay, snapping a few scrapbook photos next to some old boats. 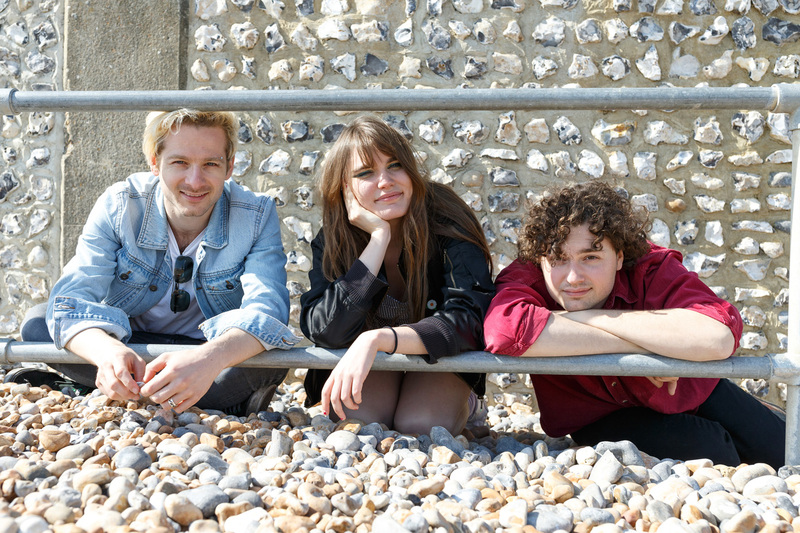 The dazzling trio create indie bangers, turning plain live venues into sweltering raves, a bit like a suped-up version of old favourites The Go! Team. They’re back in the UK right now, with dates still to come in cities including Edinburgh, Newcastle and Sheffield. 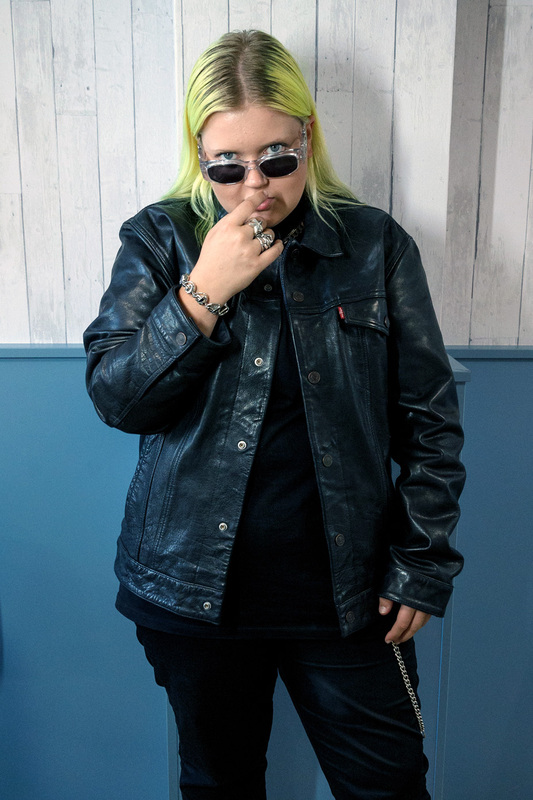 Queer heroes Queen Zee (previously known as Queen Zee and the Sasstones) played a thriving late night set in Brighton on the opening night of the 2018 event. We hooked up with the fivesome earlier in the day close to the venue. 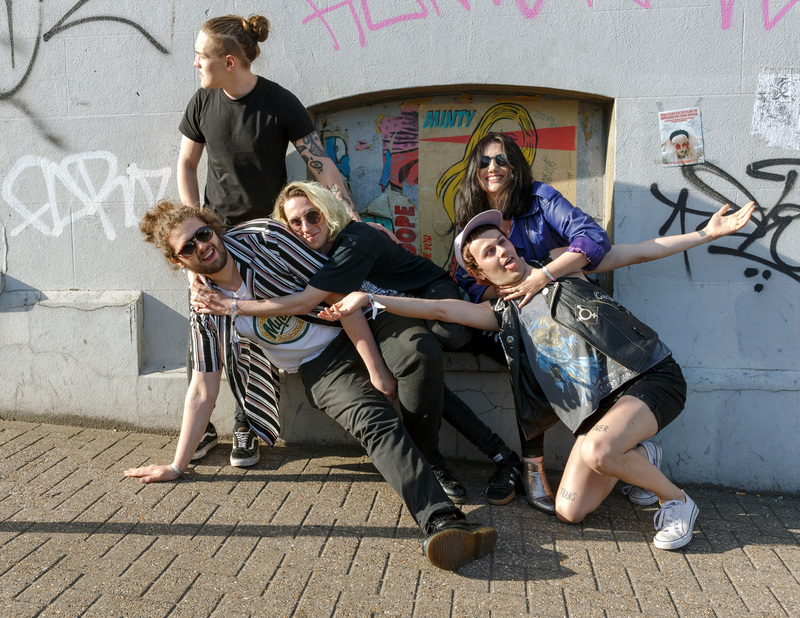 Fronted by Zena “Obscene” Davine, Queen Zee’s in-your-face, spirited glam punk has made waves ever since their emergence in 2016. 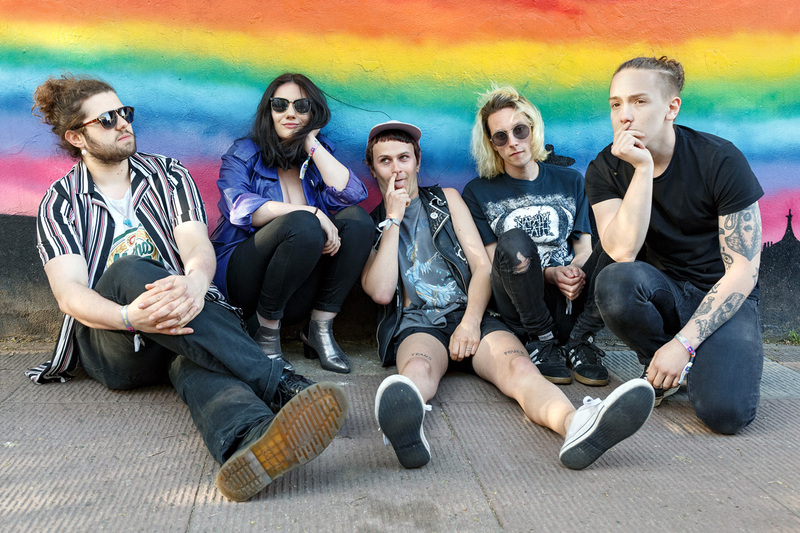 Unabashedly and proudly queer – and why shouldn’t they be – they’re a flourishing live scene sensation and one of the UK’s most essential new bands, even earning an endorsement from punk legend Iggy Pop. We briefly hung out with ALMA in the lobby of her hotel, as she succeeded Sigrid as The Great Escape’s annual breakthrough pop star with a set on the popular VEVO stage. 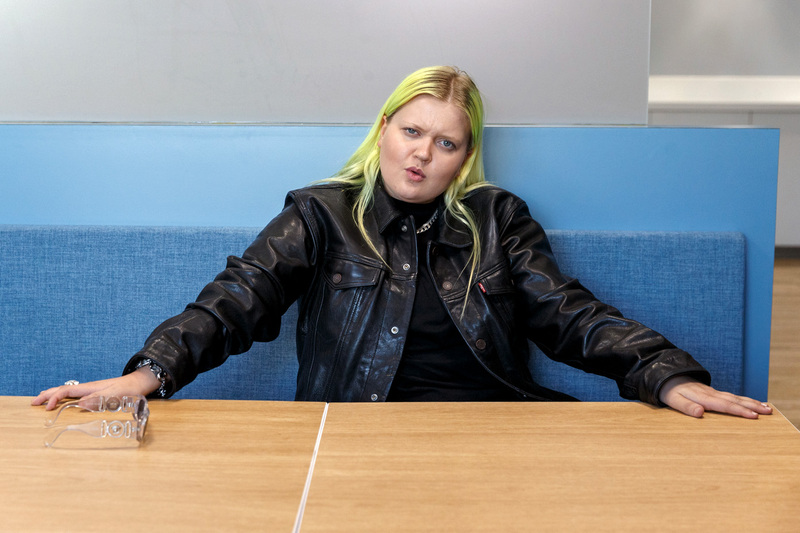 ALMA stands out from a packed crowd of Scandi singers with her irreverent attitude and cocksure swagger, collaborating with the likes of Charli XCX and Tove Lo and hitting the UK chart with her 2017 single Chasing Highs. Her latest track, Cowboy, is a self-proclaimed move away from Eurodance and into more heartfelt, personal territory. Daft Manchester lads Dantevilles met up with us next to Brighton’s iconic Palace Pier, messing around for a few photos on what we’re reliably informed is a groyne. 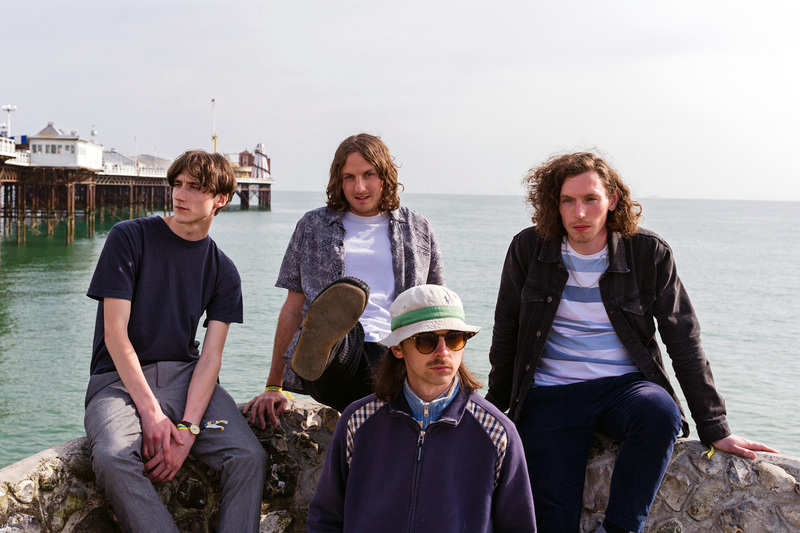 Their energetic, lively indie sound is simply good fun, and more unashamedly polished and earworm than many of their north-west contemporaries. Since the festival, they’ve tweaked their lineup, replacing drummer Cory Devine with former youth footballer Alexis Panidis. Another of Scandinavia’s always healthy contingent in 2017 was Tuvaband. 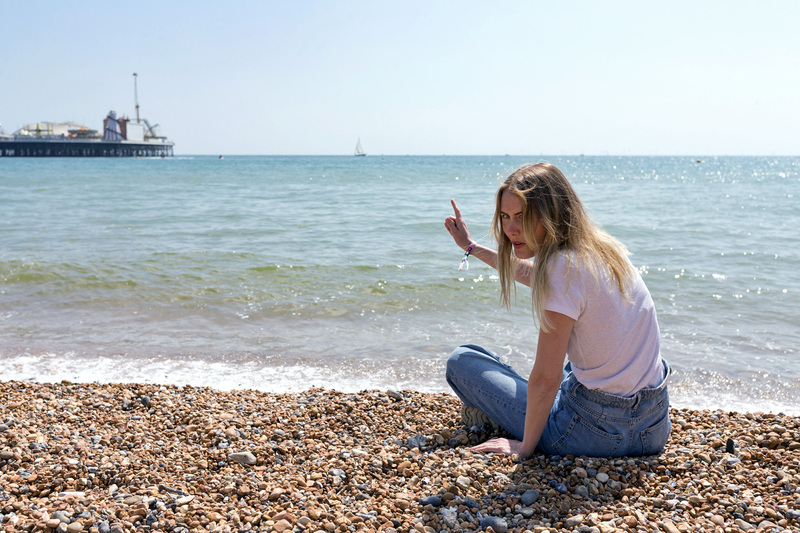 We hooked up with Tuva Hellum Marschhäuser for lunch overlooking the sea on the final day of the event, chatting about her music and the Norwegian scene before grabbing some portraits of her relaxing on the beach. 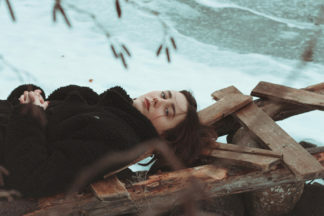 Tuvaband’s music is knowingly melancholy and bleak, with sparse arrangements dominated by Tuva’s voice. 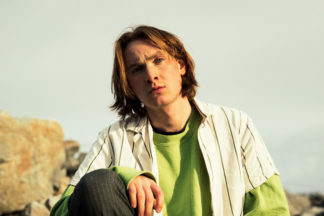 The funereal debut album, Soft Drop, was released last month on Brilliance Records, featuring the talents of Simon Would, Håkon Brunborg Kjenstad and Tuva’s father Børge Marschhäuser. Calva Louise headlined a showcase on the final night of this year’s Alternative Escape (the semi-official fringe of The Great Escape), supported by a slew of great new bands. We hung out with the trio for a few hours ahead of their set. We flaunted our love for the fuzzy upstarts when we featured them prominently in our Women On Vox feature earlier this year. They’ve pushed on further still since, releasing two more memorable singles and amplifying their buzz by the month. 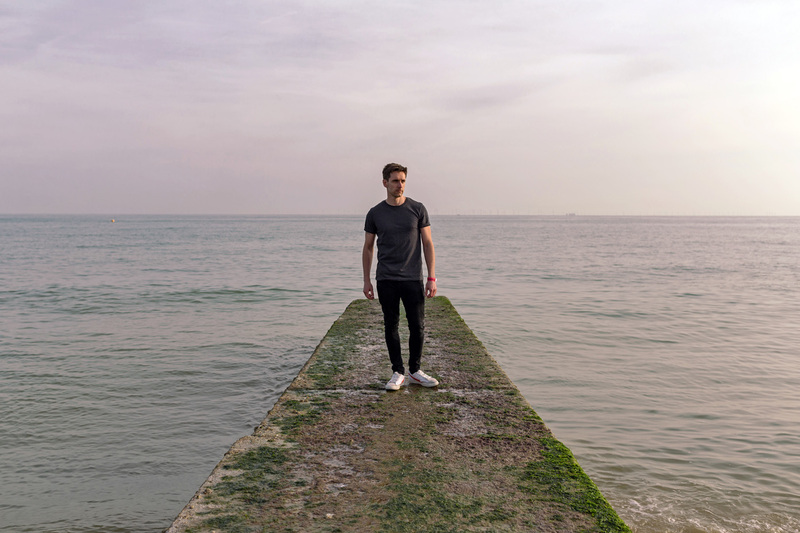 We risked life and limb with Scottish newcomer ONR. 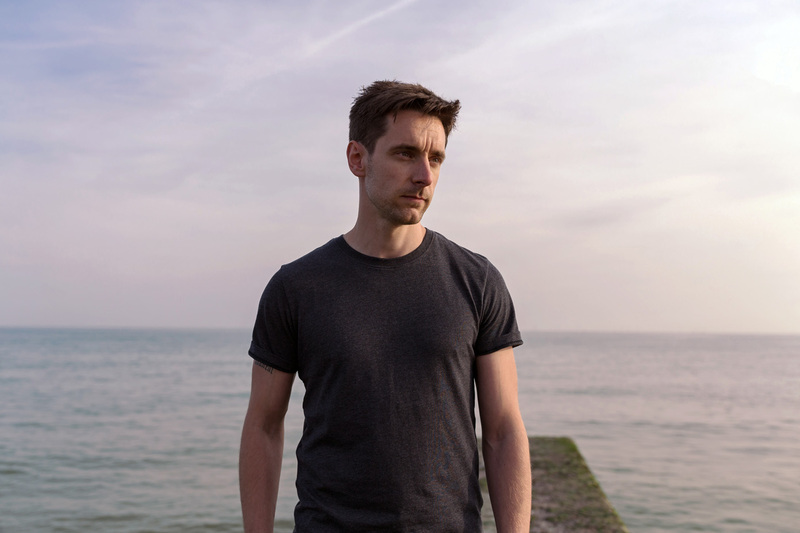 by snapping a few portraits on a slippery, seaweed-coated ridge after his set on the second day of the festival. ONR. – pronounced as “honour” – formerly composed music for television, but now crafts bold indietronica and alternative pop. Openly influenced by some of Britain’s most iconic artists, he especially openly shows his admiration for David Bowie, citing the title of his 1980 album Scary Monsters (and Super Creeps) on his Facebook profile. Closing out our round-up of the class of 2018 is psych-pop breakthrough Halo Maud. We met her on the second day of The Great Escape for an early afternoon portrait shoot on the pier. 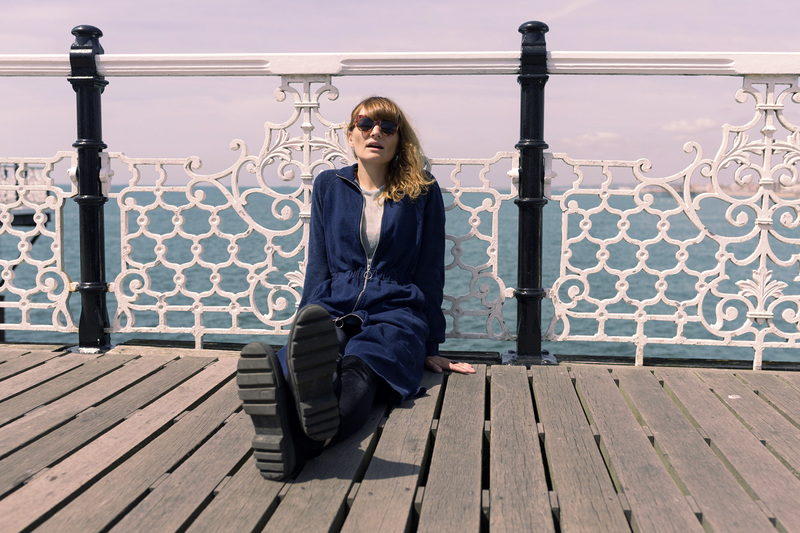 Maud is part of a stacked Heavenly Recordings roster that presently boasts Hatchie, Amber Arcades and Anna Burch, and fits in perfectly with her Francophile brand of prog-inspired psychedelia. Her debut album Je suis une île dropped in May, flitting between English and her native tongue and swooping from the catchy to the experimental in a tale of two halves. 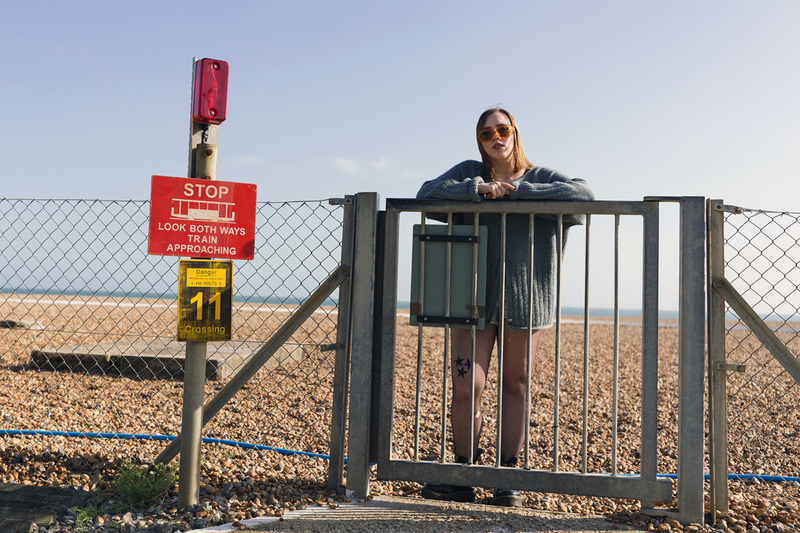 The Great Escape 2019 takes place in Brighton, UK from 9-11 May. The lineup so far can be found here. Tickets are on sale now from GreatEscapeFestival.com.